Welcome to our shop where you will find our huge range of Ground Flat Stock, Gauge Plate, Silver Steel, Drill Rod, Knife Making Steels and now Crucible Powder Metallurgy Knife Making Steels. We ship all stock items same day through UPS and we can ship worldwide also. Shipping starts at £6.00 with free shipment on orders over £50.00 (£60.00 including VAT) dependent on location. 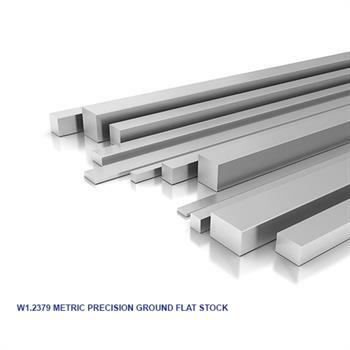 Predominately found in the UK as only W1.2510 - O1 GFS, we also keep oversize Ground Flat Stock and Gauge Plate, designed to be able to sent direct to heat treatment to save machining costs. It is produced to tight tolerances in order to reduce machining time for your finished dimensions. All of our Ground Flat Stock and Gauge Plate is de-carb free, individually wrapped and de-burred for safe handling. We also include in the packaging the cast number of the material used in its production for trace-ability. We also operate a 100% inspection process. We stock a wide range of diameters in lengths of 333mm, 1000mm and 2000mm of Silver Steel precision ground to a ISO h8 tolerance for that exact fit. 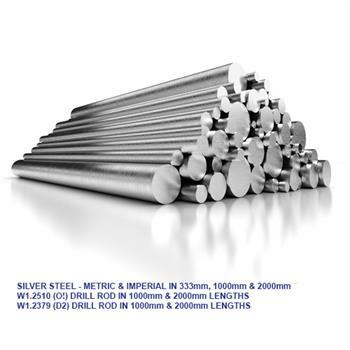 To accompany our Silver Steel range we also keep W1.2510 - O1 and W1.2379 - D2 Drill Rod precision ground to a ISO h8 tolerance. LC200N - Z-FiNit:- High Nitrogen alloyed tool steel with a very clean and fine micro-structure, a recent development in 2013. 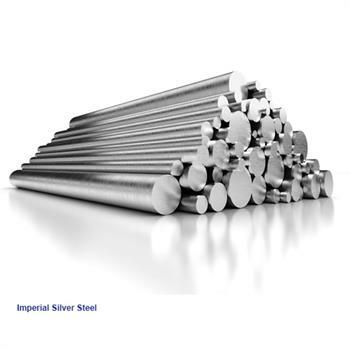 Takes a good edge and is the most corrosion resistant of all our steels. We also keep stocks of Crucible Industries powder metallurgy knife steels. A powder metallurgy steel has an extremely fine grain structure compared to normally manufactured steels. This can have huge benefits in wear resistance, toughness and corrosion resistance. CPM-S90V:- Crucible Industries 'Super Steel'. Extreme wear resistance and edge retention. High Carbon and Vanadium content. Stays very sharp!